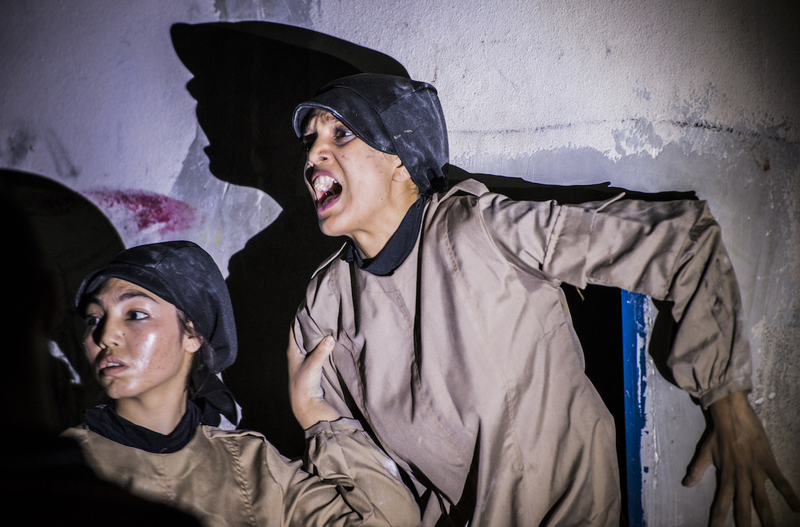 In August the girls in the OMID theater workshop got to perform in the play called “When…”, for a ten night run, in Tehran. So how did this come about, who was involved and why is this play so unique? 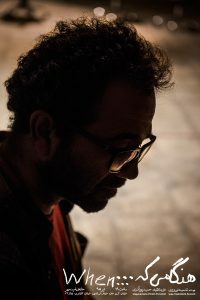 OMID’s theater workshop began it’s work in collaboration with Director and Designer – Hamid Pourazari (below) just two months after he was introduced to OMID and had arranged for a private preview of one his plays called “Sale Sanieh” at Aaran Gallery in Tehran exclusively for OMID girls and staff. The interaction and collaboration Hamid Pourazari uses in his plays between actors and audience was what captured the interest of the OMID management team, as well as the girls and hence the seeds of cooperation and collaboration between Hamid Pourazari and OMID were planted. Besides aiming to produce a professional play as a final product, the main goals of the OMID theater project were to help develop and increase body and communication skills, increasing self-confidence and team spirit amongst the girls. In the early stages, about 100 OMID girls attended the workshop every Thursday for three hours, however the idea of working with 100 girls had its own challenges. It was the first time OMID had tried a collaborative workshop with so many participants. Among some of the issues faced, besides the large number of participants, was the shortage of space and some personal challenges for the many of the girls which inevitably resulted in their dropping out of the project. The theater workshops continued until the end of March 2016 with approximately 60 girls. In May, 2016, 13 actors and 5 crew were chosen as finalists to start more vigorous exercises and rehearsals, three times a week for a minimum of three hours, to prepare for the 10 night public performance in August. As previously noted, one important element used by Pourazari is collaboration in all stages of a play. Improvisation is paramount, as he does not use a set script. During rehearsals actors are given the chance to add or omit scenes or dialogues to the play; he strongly believes actors can contribute to the content of play if given a chance to make changes along the way; he allows this by engaging the actors through tapping into their inner, most personal selves. Thus, Nashmineh Norouzi the playwright alongwith Hamid Pourazari would ask the actors after each physical exercise to perform a scene with the elements they felt were more effective and would then have a discussion meeting with the team. In May, the lighting and stage designer crews started work and for two weeks a team of 15 technicians and designers joined hands to transform the gym space inside the OMID building into a theater stage. On August 10th 2016, “When…” went on stage for 10 consecutive nights. Many prominent cultural and art figures came to see the play and it got excellent reviews, even among the fine art, movie and theater communities in the capital city. Many also praised the interaction by the girls with the audience during these performances. However, the most important effect of this project was the opportunity it gave the girls a “voice” to express themselves with utmost self confidence, giving them a new perspective in life. Finally on August 25th, at the 15th gathering of the Association of Theater Playwrights and Critics, a tribute was made to Hamid Pourazari for his efforts to give a voice to the marginalized through the art of theater. He in turn, praised OMID and Marjaneh Halati for giving him the opportunity to one more time demonstrate the power of theater in such setting. 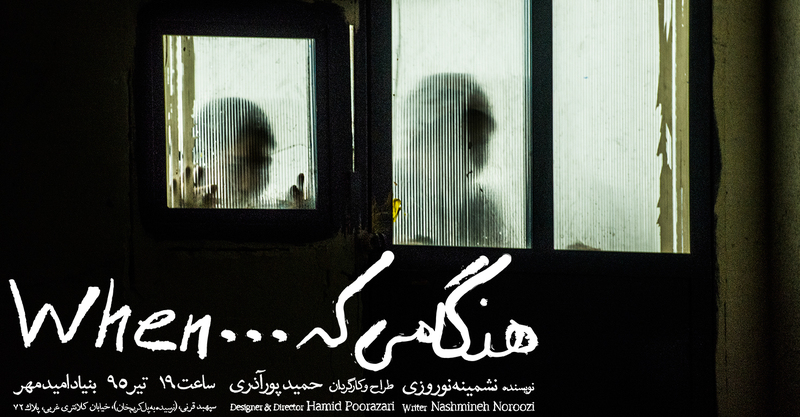 While wishing all the best and the most success to Hamid and the OMID Theater Team, it is our honor to announce that “When…” is being performed for a second time from 28th of October to 11th of November 2016. Well done and congratulations to everyone involved is this remarkable project.